The UEFA Euro 2016 saw France host 24 nations all determined to win the prestigious football title. With a huge and expectant audience, BBC Sport approached dock10 for ideas on a Match of the Day title sequence that would reflect the passion and excitement of the tournament. 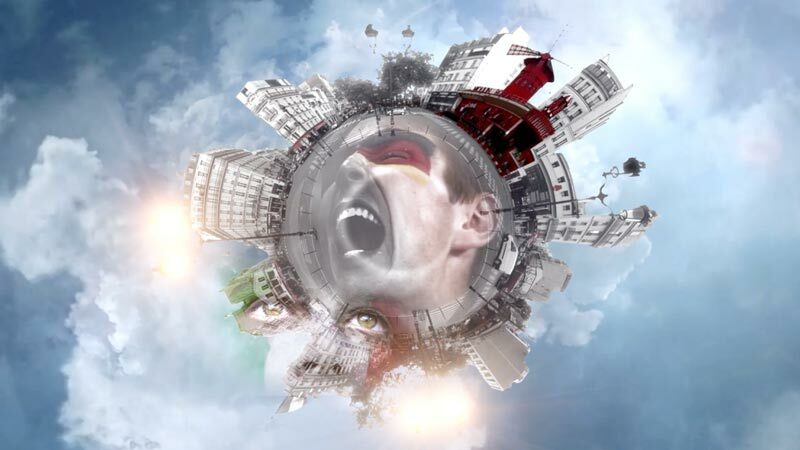 Underlying the creative was the demand for an attention-grabbing sequence that combined a focus on France with a global feel, and include footage of the biggest names in football. Working closely with BBC Sport, dock10’s VFX team looked beyond similar title sequences to explore what was new in the world of graphics. This led us to propose a popular effect called Polar Panorama which stretches a panoramic image around a globe with an exaggerated 3D skyline. Taking this further, we would integrate live action into and around the rotating globe so that all the onscreen elements interacted. Having filmed skylines and iconic buildings in Paris we created the Polar Panorama. The VFX team added CGI and 3D effects including a football dropping away into the live action, a fluttering French flag and trees blasted by a roar of celebration. These touches, together with the constant movement of background clouds and the globe itself, greatly enhanced the dynamism and atmosphere. A crucial element was the footage of players which used fast cuts to create pace and excitement. With uncertainty over which famous faces would be playing we built the graphics to allow new footage to be inserted as the tournament progressed, keeping the titles fresh and up to date. The finished sequence was used for all of the Match of the Day specials with around 13.6 million tuning into the BBC for the final, and the piece is listed first in Digital Arts’ celebration of the most beautiful art, design and animation projects of the Euros.